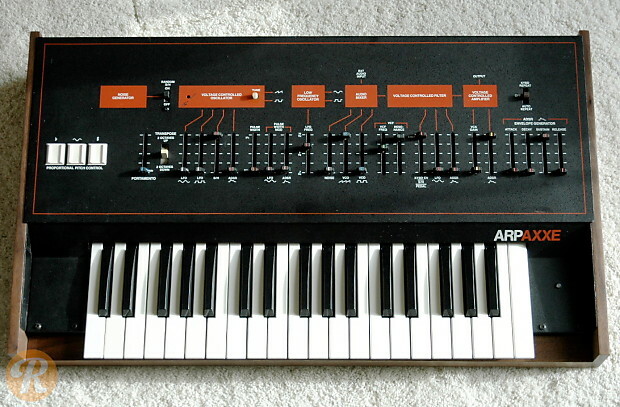 The ARP Axxe can easily be thought of as budget version or scaled down Arp Odyssey, one of the companies' trademark synthesizers. While it retains a very similar sound to Odyssey and other ARP synthesizers alike, it has a much thinner sound due to its single-oscillator design. The ARP Axxe features 1 VCO, VCF, VCA, ADSR, Noise generator, LFO and was their simplest yet most affordable design.